Carpet Cleaning for Perth is a renowned name in the home and commercial cleaning sector. Since several years, we are offering honest, affordable and professional carpet cleaning services in Tapping WA 6065. Our technicians give complete attention to detail so that the cleaning process is done to the highest standards. We cover those extra steps so that we can provide you complete satisfaction and best value for your money. There is absolutely no chance of any compromise on quality. 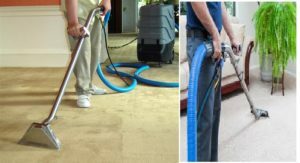 We hire the best technicians in the industry who have a thorough knowledge of cleaning different types of carpets and using diverse tools and products. Moreover, we only use the highly sophisticated equipment and safe cleaning products so that you get the best result within a short time. As far as honesty is concerned, you can be assured that there will be no hidden charges. You can let us know about the condition of your carpets and we may also send the experts for pre-inspection. This will help you to know what sort of cleaning is best suitable to get 100% satisfactory result and how much you have to pay for that. We promise that you are not required to pay any additional hidden charge. Moreover, our service is also about caring for the property of our customers so we will clean your property carefully. We only use the best cleaning products and equipment that ensure thorough carpet cleaning at the minimum possible time. This does not imply that we treat the carpets harshly. We conduct detailed research and zero on the best cleaning products in the market that are harsh on the dirt and stains but soft on the material. Thus, you will find your carpets feel soft like new after cleaning and drying. Moreover, we call ourselves as one of the safest carpet cleaning service providers in Tapping WA 6065 not just because we use the products that are safe for the carpets. Rather, these products are also safe for your family, especially if you have kids or pets in your home. We believe in overall safety with no compromise on cleanliness. There is no doubt why we are among the leading carpet cleaners in Tapping and its surrounding areas. We can clean heavily soiled carpets with our thorough and deep cleaning methods. First, our technicians pre-vacuum the areas of carpets or rugs. Then they use a safe non-toxic cleaning solution to pre-treat the carpets. The solution gets deep into the carpet fibre and helps to loosen up the dirt and soil. Then they use a technically advanced equipment to extract all the dirt, soil and cleaning solution and start the drying up process. You get your carpet ready to be used again within a very short period of time. So, what are you waiting for? Hire the best carpet cleaners in Tapping WA 6065 today. We are well-equipped tile and grout cleaning service provider in Tapping WA 6065. We use the best and the latest technological tools and fully trained technicians so that we can offer the ultimate result in the very first time. Our technicians are expert in cleaning the tiles and grout for both commercial and residential areas. We have a team to restore any tile to the new-like condition no matter they are made of marble, granite, terracotta, porcelain or ceramic. Are you tired of calling the technicians who promise everything but fail to deliver on time? Sometimes, the service providers take too long just to come up with the quotes. We assure that you will not face such experience with us. Whether it is the quote for the tile and grout cleaning service or the job, we ensure a faster turnaround. Your time is important to us and we give right value to it. This is especially very useful for commercial cleaning services because faster service will ensure everything is back to normal without much delay. Thus, think about us whenever you need faster turnaround but the perfect result. Cleaning tile and grout is not easy because a lot of areas are tiled in a house or a commercial establishment. Moreover, the grout areas are porous so it attracts more dirt and dust. This makes the entire tile setup look dirty and ugly. Cleaning these areas on your own is hugely time-consuming and you will not get the satisfactory result as well. Being the best tile and grout cleaners in Tapping WA 6065, we have access to the best cleaning tools that assure detailed and faster results. Within a very short time, you will get spotless tiles and grout so that it feels like new. In addition, we use safe cleaning products that are safe for the kids, pets and the environment. Whenever, you need expert assistance to clean tiles and grout in Tapping, call us. Upholsteries and lounge are those delicate essentials in your house that provide great utility and also create a big impression on the visitors. These are also the most-used units and face extensive wear with time. To keep their appearance and quality in good health, regular cleaning is required. Did you say you regularly vacuum the upholsteries? That’s good but certainly not enough. When you relax on your couch many times the coffee or cola gets spilled on it. Even if you immediately clean it, the material absorbs the stain deep into the fabrics. With time, it further collects dust, dirt and eventually become a breeding space for germs and bacteria. This can cause serious allergy to the pets, kids and even adults. What you need to professional cleaning and Carpet Cleaning for Perth is the service provider you are looking for. We offer the best and most detailed upholstery cleaning service in Tapping WA 6065 area. We are fully experienced and trained to steam clean and dry clean your upholstered items such as lounge, sofa or other furniture pieces. Our cleaning service varies according to the fabrics that cover your lounge and upholsteries. Thus, we ensure spotless cleaning without being harsh on the fabrics. No fabric is too exotic for us. We can handle any type of upholstery and ensure 100% satisfactory result. Sometimes, the pets like cats and dogs leave bad marks and odor to the furniture. There is no need to worry as we use the steam clean, dry clean and even apply hand spot cleaning to produce the perfect result. This ensures removal of stains on top as well as the bottom of the furniture making it free of any trapped odour. We conduct a thorough inspection of the cleaning products and tools before using them. You will be happy to know that we use the most technologically advanced equipment and safe cleaning solutions in the industry. 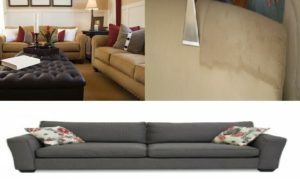 This helps us to offer the best upholstery cleaning services in Tapping WA 6065. At Carpet Cleaning for Perth, we provide the most detailed, authentic and professional cleaning services for residential and commercial carpets, upholsteries, tiles and grout in Tapping WA 6065. Contact us and we can arrange a pre-inspection at your property to check the condition of the carpets, upholsteries or tile and grout. Based on that, our experts will prepare a report on the level of required cleaning and what you should respect after the cleaning process is over. This will give a clear picture on what we will do, how the cleaning process will be conducted and how long will it take approximately. This will ensure timely completion of work without any shock in terms of pricing. What we promise is what we provide. We assure that you will be 100% satisfied at the end. Call the best residential and commercial cleaning expert today.